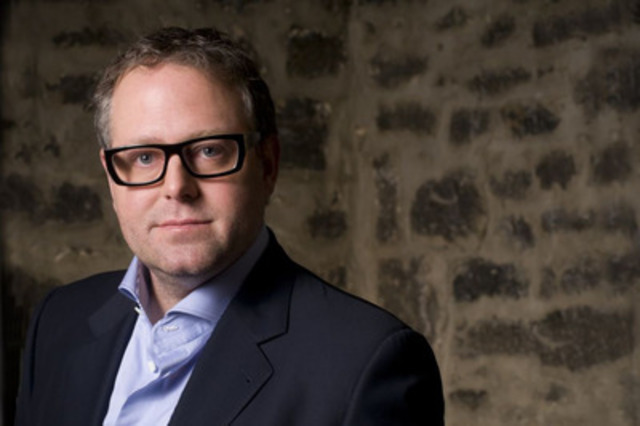 MONTREAL, May 17, 2012, /CNW Telbec/ – The Musée d’art contemporain de Montréal is proud to announce the appointment of Alexandre Taillefer to a five-year term as Chairman of its Board of Directors. The appointment was approved by Quebec’s cabinet yesterday, May 16, 2012. A senior partner since 2011 with XPND Fund L.P., an investment fund with interests in technology, media, and entertainment companies, Alexandre Taillefer is a born entrepreneur who has made a name for himself in the development of new technology companies. After studying computer science at the Université de Montréal and administration at the École des Sciences de la gestion at UQAM and at HEC Montréal, he became the founding president of Intellia in 1993, later Nurun, a leader in web development in Canada. In 2001, he founded Hexacto, which in just two years became the leader in mobile games before being bought by Jamdat Mobile and then Electronic Arts. In 2007, he co-founded Stingray Digital, a company specializing in digital entertainment. Today, Mr. Taillefer sits on the board of numerous companies, including C2.mtl, gsmprjct, Lumenpulse, BeHaviour and iPerceptions, and is a member of the Montréal, Cultural Metropolis steering committee. His involvement in the culture sector began in 2005 with his successive appointments to the Montreal Museum of Fine Arts’ acquisition committees for Canadian and the international art. He was also Chairman of the Board of the Opéra de Montréal from 2006 to 2012. Director Paulette Gagnon and all of the museum’s staff are delighted with the appointment and extend their sincere congratulations to Mr. Taillefer. The Musée takes this opportunity to thank outgoing Chairman Marc DeSerres for his dedication and support over his two terms of office. The Musée would also like to thank François Mario Labbé, who is completing his term on the Board, as well as Vice-Chairman Robert-Jean Chénier and Treasurer Nathalie Pratte, who will complete their terms on July 2, 2012. New members are joining the MAC Board of Directors for three-year terms. The Musée warmly welcomes Eleonore Derome, lawyer and partner at McCarthy Tétrault, François Dufresne, partner with Ernst & Young and also President of the Fondation du Musée d’art contemporain de Montréal and, starting on July 2, Sylvie L’Écuyer, senior advisor at Société Pierre Boucher Inc., and Jean Claude Baudinet, President of the Hôpital Maisonneuve-Rosemont Foundation and Chairman of the MAC’s Comité consultatif de l’immeuble et des équipements. Dominique Lanctôt, Lillian Mauer and Céline Robitaille Lamarre return to the Board for second three-year terms. The museum extends its sincere congratulations to all.